I contain multitudes. So said Walt Whitman. So showed one of my odder business cards. What can I say? It’s hard for me to pass up a good pun and the extremely talented Laura E. Kelley is my enabler, in this and other endeavors. The card it’s still more-or-less accurate in that it reflects the main divisions of my interests–at least as defined by my three blogs, which are a form of virtual business card. This, my first and oldest website-turned blog, serves as a kind of a resume. It’s more-or-less dedicated to writing: The writing on the blog itself, which is often about writing, mine and other people’s; samples of my writing published in other places (a facet of the blog not attended to often enough); and writing about paths to publication, particularly mine. I try not to naval gaze too much, but when you’ve just written and published a memoir, it’s hard not to be a bit solipsistic. 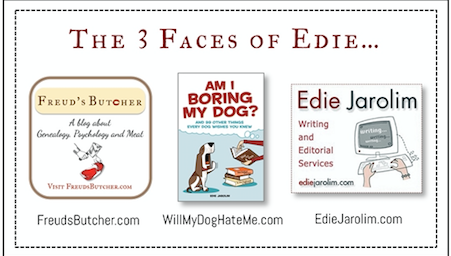 If I were creating a new 3 Faces of Edie business card–which I won’t, I promise!–it would have a picture of my memoir rather than my dog book on it. Speaking of the memoir, here’s the latest news from that book: A review in Publisher’s Weekly, baby! Build a platform. You can’t just appear out of nowhere and expect strangers to send you money. It helped that I had four traditionally published books, three blogs, and hundreds of articles under my belt. That established my credibility; I could point to my track record of producing publishable material to inspire confidence. But I’m old school, with a traditional background; I grew up before social media was king. If you don’t have a strong writing resume, find social media you’re comfortable with, whether it’s Pinterest, Instagram, Facebook, or Twitter, and work to engage with an audience. Don’t just promote yourself; show interest in others who are in your niche — the subject you plan to write about. Join a forum on Goodreads in your genre and participate. If you’re an expert in something and have valuable information to impart, start a blog. And if you have a traditional platform already, be sure to get your social media ducks in order. And here’s my latest dining story from Edible Baja Arizona, a piece on two sushi chefs: Yoshi Begat Begay. Random news? You bet. But that’s the great thing about having your own blog. For better or worse, you can do what you like. 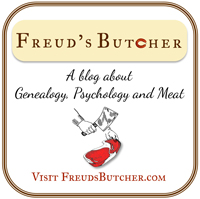 Until a few weeks ago, I’d been neglecting Freud’s Butcher. As the name suggests, it centers around the story of my maternal great uncle, a meat vendor, and his most famous customer, the father of psychology. Then I ended up going to Vienna, and it looks like I’ll be doing a lot more blogging on Freud’s Butcher. Read a preview in Return to Vienna. 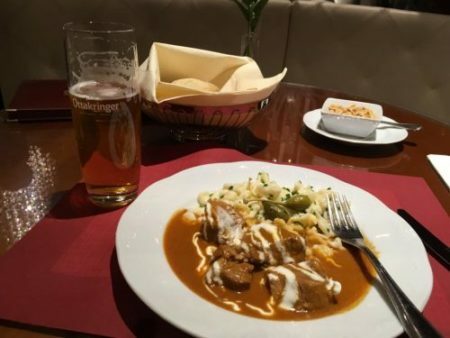 Covering all the food groups: Goulasch and knoedel and beer and nuts. 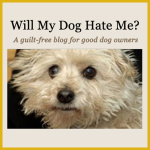 This was, and remains, my most popular blog, yet I neglected it too (I did not, I hasten to assure you, neglect my actual dog; I just kept her out of the limelight for a bit). I was focused on writing about my pre-dog life, rather than my life with dogs. That just changed. 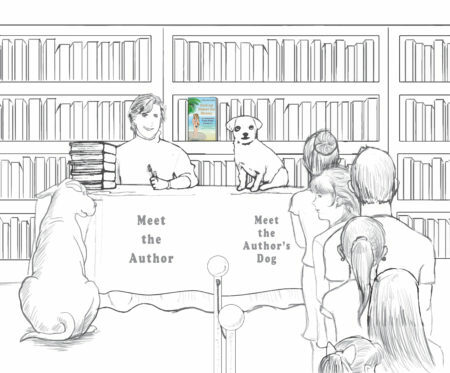 In the interests of shamelessly exploiting Madeleine’s cuteness and her friendly nature, I put together the Author and Her Dog Book Tour. I even had my blog redesigned as a fit venue for that venture. I’ll be writing more about it on this blog too. This is yet another preview. What’s Your Oddest Business Card? Here’s the interactive portion of this blog. So spill it. What’s your strangest business card–or have you always gone the straight and narrow? Maybe more to the point: Do you still have a business card? A blog or blogs? Many of the people I meet living on a boat are retirees. But it’s common to give out “boat cards” to people you meet while traveling. I accept tons of them. But I can’t bring myself to have more than one card. Instead, I give out my blog card and scribble our boat name or other pertinent information on the back. Yeah, I know. No very professional. But if I moved onto a boat to give up wearing bras and shoes, I can’t exactly have highly-polished business cards. 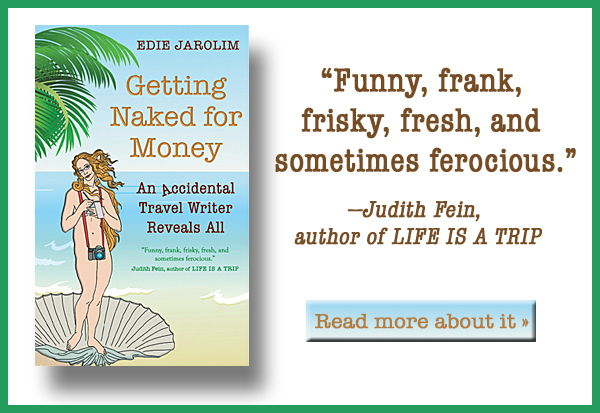 Hey, that’s a great thing about the onshore freelance life too — no bras and shoes! But since we both have dogs we do need to don undergarments and get shod at least once a day. I guess that’s why, for both of us, our dog blogs are the most popular. Ironically, our pups keep us semi-civilized! The only things that have changed on my simple one-sided business card over the years are my concentrations. Oh, and the color. I used to have purple font, but then changed to teal to be consistent with the colors on my website. I’ve seen some interesting cards through my writing groups and networks. One mystery author has a business card for his character. The character has it’s own email, voicemail, etc. It’s a creative way to remember him and talk about him/his book. Another writer printed an folded business card that looks like a book. The book cover image on the front, the book jacket on the back – with a QR code where a book’s bar code is traditionally placed – that directs to her website. Inside the card are a list of ways to contact her on one side, and a list of her services on the other. This is something I definitely want to do for my next book!